In his Wednesday afternoon class, college senior Cristian Baeza is all smiles. In May, he’ll be the first among his five siblings to graduate college. And those struggles have meant lower graduation rates for black and Latino students, those who’re low-income and the first in their families to attend college. Westbrook says it’s a problem throughout Illinois. “In the state of Illinois, 7 out of 10 white students will graduate from their four-year universities with six years. 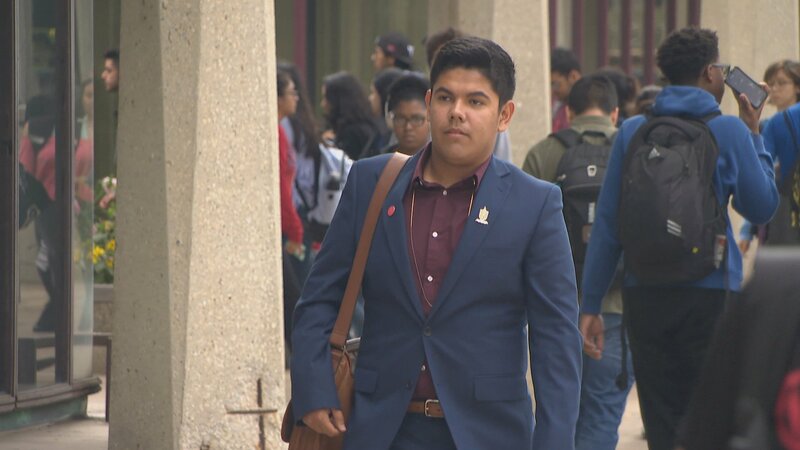 Five out of 10 Latino students will graduate within that same period, and only 3 out of 10 African-American students will graduate within six years,” he said. “This is our best chance, our last best chance for low-income students to interrupt cycles of poverty that will continue to hamper our region’s economy if we don’t actually address it and this group of colleges and universities, stepping up, as part of the Illinois Equity in Attainment Initiative, are doing that,” Westbrook said. Something Baeza can certainly say he’s found. “Even if an institution doesn’t necessarily get there by 2025 … they can feel confident they’re on the right road, and they’re on the right path to closing those gaps,” Westbrook said. But at the very least, it’s a place to start, by creating more graduates like Baeza.